Alfred Villalobos, 71, killed himself in Reno, his town of residence, city police confirmed. Villalobos was just weeks away from standing trial for bribery and fraud in connection with efforts he made to influence the investment decisions of CalPERS, which is the California retirement system and the largest public pension fund in the nation. After serving as a CalPERS board member from 1993 to 1995, Villalobos became a placement agent who helped hedge funds and other investment groups wins CalPERS business. He earned about $50 million between 2005 and 2009 as a middleman between CalPERS and private equity clients. A former CalPERS chief executive and co-defendant in the case cooperated with prosecutors and said that he accepted more than $250,000 in bribes and gifts from Villalobos. Federic Buenrostro Jr., who still faces sentencing in the case, said Villalobos would deliver much of the money in paper bags and shoe boxes at the Hyatt Hotel across from the Capitol in Sacramento. Prosecutors charged Villalobos and Buenrostro with conspiring to create phony documents that helped Wall Street equity firm Apollo Management land a $3 billion CalPERS investment deal. Apollo is not accused of wrongdoing, but the firm paid Villalobos $14 million in fees. In 1993, Villalobos briefly served as Los Angeles deputy mayor for economic developments. He resigned after revelations about his finances. Then-mayor Richard Riordan said he fired Villalobos after five months on the job. An attorney who represented Villalobos said the former CalPERS board member was in and out of the hospital prior to his death. Villalobos had constant pain from a neurological disorder, his attorney said. One of the clearest indications you live in a police state – or one well on its way to becoming one – is “rules for us” (you and me) and “rules for them” (government officials and enforcers). This manifests in numerous ugly ways. The defective genes of a corrupt Progressive-Statist-Marxist jackboot permanently removed from the gene pool. 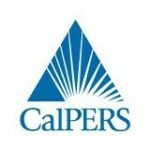 The ticking time bomb, called CALPERS, is bankrupting California. Apollo paid him 14 million? And there is nothing wrong with that? Does it seem excessive for someone who is already getting paid to do the job? Why did this take so long to go to trial? He worked there until 2009? Not a lot of information on this ‘suicide’. Was this guy ‘suicided’ so he wouldn’t roll over on the rest of his crook buddies? How far up does this corruption go? What happened to the money? It would be interesting to see an actual honest investigation. I’m not holding my breath. Just one more reason for the govt to get 100% out of the pension business. I do think calpers are a bunch of crooks, but the biggest issue isn’t so much that they are state-run, but that many state employees are forced into investing with this group. Calpers doesn’t have to compete for their clients business, and as such the group is not beholden to work on behalf of their best interest (you’ll have transparency issues and the like). Provided that investment is optional, larger firms (including state-affiliated firms) do have the advantage because they can leverage more capital. At the moment, unfortunately, the consensus in most economic circles is to beware of all pension plans, as they are usually long-term and require sufficient economic growth to sustain returns, and because many feel that very big problems lie on the not-too-distant economic horizon. Calpers is just doubly screwed as $millions have been, and likely still are, being stolen from the fund (both outright and through various legal(ish) tricks).